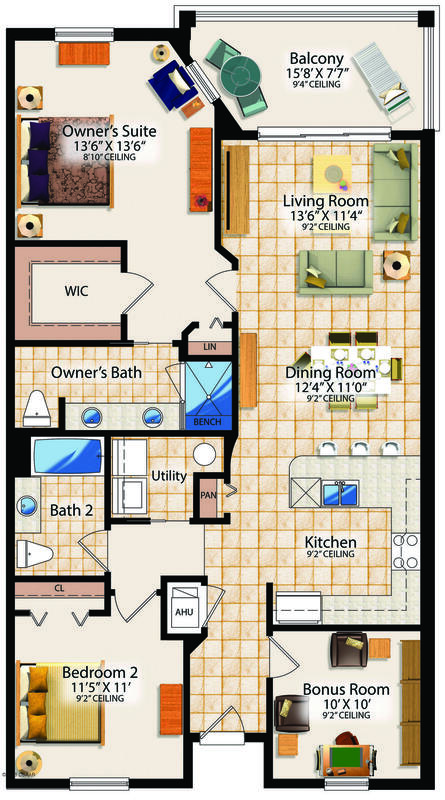 PRE-CONSTRUCTION PRICING STILL AVAILABLE ON THIS RESIDENCE! CONSTRUCTION STARTING NOW! OUR STANDARD FEATURES ARE LUXURY UPGRADES ELSEWHERE INCLUDING STAINLESS STEEL APPLIANCE PACKAGE IN KITCHEN, LAUNDRY ROOM COMPLETE WITH WASHER AND DRYER, SOLID GRANITE COUNTERTOPS IN KITCHEN AND ALL BATHROOMS, UP TO 24'' PORCELAIN TILE FLOORS THROUGHOUT EXCEPT IN BEDROOMS, REAL WOOD CABINETRY INCLUDING 42'' UPPER CABINETS IN KITCHEN, ELEVATED CEILING HEIGHTS, EXTRA STORAGE SPACE, COVERED PARKING SPACE AND SO MUCH MORE. COMMUNITY FEATURES INCLUDE CENTRALLY-LOCATED AMENITIES WITH RESORT-STYLE POOL, NATURE PRESERVE, WATER FEATURES, CLUBHOUSE, FITNESS CENTER AND GATED PRIVACY. 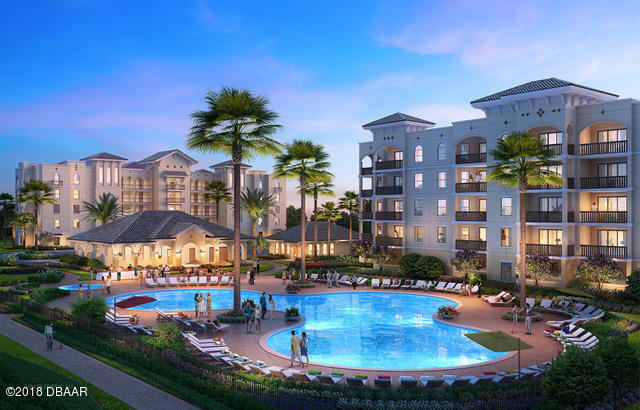 PRIVATE PLANTATION BAY GOLF AND COUNTRY CLUB MEMBERSHIP INCLUDED WITH PURCHASE.THE ORMOND RENAISSANCE ACTIVE ADULT COMMUNITY WILL INCLUDE 10 BUILDINGS SPREAD OUT OVER 27 IDYLLIC ACRES IN A TRULY ONE OF A KIND LOCATION. JUST 2.7 MILES FROM THE BEACH AND ONLY STEPS AWAY FROM A VARIETY OF SHOPPING, DINING AND RECREATIONAL OPPORTUNITIES. Listing Prices subject to change without notice. Would you like to see this property? Based on information from the DABMLS from 2019-01-15 05:20:25. DABMLS and their affiliates provide the MLS and all content therein "AS IS" and without any warranty, express or implied. Data maintained by the DABMLS may not reflect all real estate activity in the market. Sold a Single Family home in 2015 for approximately $325K in Port Orange, FL. We had talked to several agents in the Port Orange area and found that Lee, Mr.T. Toutounchian was the most knowledgeable and knew the right price for selling our property; no fluff just right down to the realistic selling price and he was well prepared. I would highly recommend him to anyone who was looking to acquire or to sell. He is the Best. Sold a Single Family home in 2015 in Port Orange, FL. Lee "Mr T" was GREAT he had my house sold in 3 days!!! Very professional and a great person to work with. Highly recommend! He explained everything as we went along and that was a big help. Sold a Single Family home in 2015 for approximately $300K in Port Orange, FL. It has been an honor and privilege to have had Mr. Toutounchian work for me as a property manager and also to have had him as the listing agent and the selling agent for a home I sold in February 2015. When my tenants moved out of my home in December 2014 Lee took complete control in seeing that the house was inspected and that the necessary contractors were hired to make necessary improvements/repairs. Lee left no stone unturned in seeing that the repairs/work were completed in record time so that the home could be listed for sale. When the work was completed Lee vigorously marketed the home for sale and showed the house with true dedication/professionalism and the house sold at an acceptable price quickly. Sold a Single Family home in 2015 for approximately $175K in Port Orange, FL. Mr T was awesome. The buyer was sometimes difficult but Mr T kept the process smooth. Mr T was always available & prompt in his response. Mr T is highly recommended. He sold our house in less than one day on the market. It was a tough sale as the Realtor working with the buyer was very difficult. Lee worked well with me in understanding what I needed and he got the job done. Very happy ending. After attempting to sell my home in the down market and ultimately pulling it off the market, Lee was my first call when I was ready to re-list the property. He is very knowledgable, professional, and the level of communication was great. In the end, I tasked Lee with closing my property very close to the asking price based upon his listing price recommendations and we had the property under agreement for $2k under ask within a week or so. Overall, we are very pleased with his performance and look forward to doing business with him and his staff in the future. You will not be disappointed, thus you should start with him versus other brokers. Copyright 2019 Executive Realty Group LLC. All Rights Reserved.